What fun she’ll have sleeping in this jumbo floral bedding by Maddie Boo. 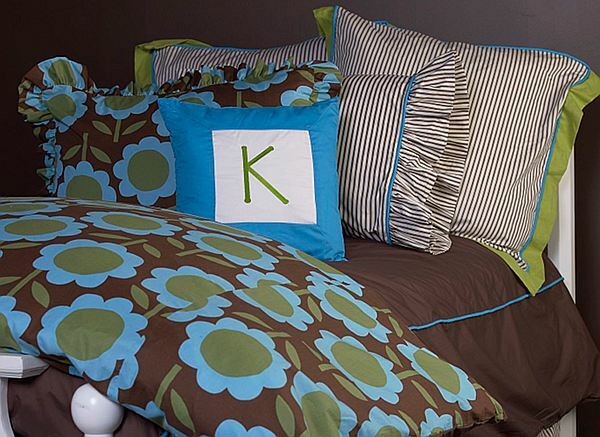 The Sabrina collection consists of a duvet cover, shams, pillow, and bed skirt in fabrics of aqua and green flowers on a chocolate background, chocolate ticking, and coordinating solids of chocolate, turquoise, and lawn. Discover why the Maddie Boo brand is known for style, quality and function. She’ll have sweet dreams in this sweet bedding by Maddie Boo. The Rebecca collection consists of a duvet cover, shams, and bed skirt in fabrics of jumbo pink polka dots on a white background and a coordinating pink and white stripe. Maddie Boo bedding creates the perfect environment for children to grow and be inspired – compelling fabric combinations, interesting embellishments, and inviting textures characterize the line. SDH’s Delphi Jacquard sheeting is a 4-color yarn dyed jacquard in a 692-thread count 100% Egyptian cotton. 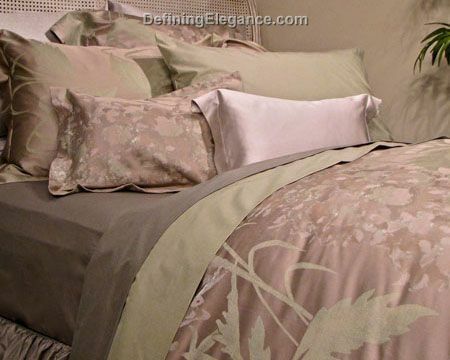 This luxuriously finished bedding is available in two different colorways: Fern and Mauve. 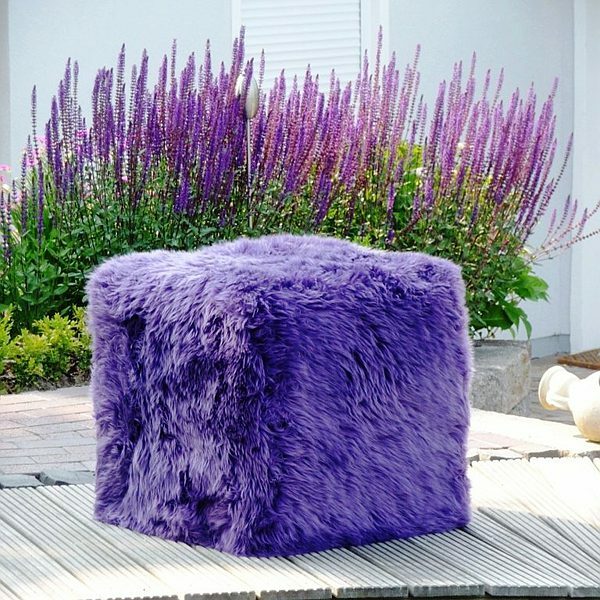 Whether you need extra seating on occasion or just want something a little unique as part of your decor, this luxurious lambskin cube by Auskin Rugs is both functional and fun. Available in the softest longwool or shortwool in many popular colors, it is sure to be everyone’s favorite ottoman. Like the Filicudi island off the coast of Sicily with its aquamarine waters and magical springtime flowers, the Filicudi bedding ensemble from Signoria Firenze is a slice of paradise. A beautiful floral jacquard duvet cover and sham is paired with embroidered sheeting and quilted coverlet. Available in two colorways: Rosa, a soft mauve, and Grigio, a soft grey. 500 Thread count, 100% Egyptian cotton.